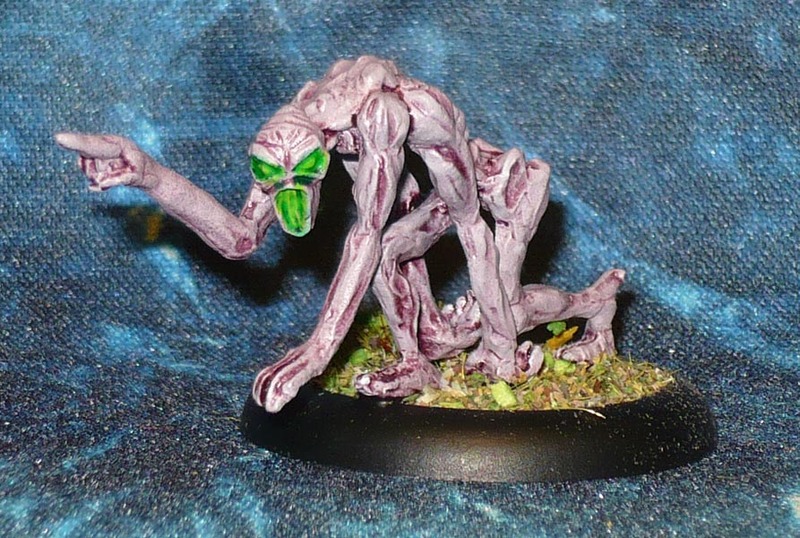 RAFM, the venerable Canadian miniatures company who amongst other things are known for their long-running selection of Call of Cthulhu miniatures, had a kickstarter for a reinvigorated line of Call of Cthulhu miniatures some time ago. The KS did rather well, but RAFM ended up loosing a fortune due to selling the minis in the KS too cheaply and charging far too little for shipping, coupled with delays, currency rates dropping and getting screwed by both a sculptor and a resin supplier. I feel bad for them, they seem to be struggling, and reportedly have taken over 10.000 dollars in loss and have run out of money, needing to fund any remaining fulfilment out of ongoing sales revenue. And the market for their minis seems to be down. This is not the only KS they have had, and at least one other is also seriously delayed. Luckily for me, I got my pledge reward a while ago. Great minis in a very hard alloy, plus some big resin monsters. Both thumbs up for the minis!